There are more knowledgeable players in the Seattle Condo Market than me and some of them are forecasting a slowdown in sales, …while others are seeing a market moving full steam ahead. So much for the wisdom of the gurus, huh? As I raise my finger to the wind I don’t see any reason for a slowdown, other than the usual one occurring around the holidays. As I look at the sales patterns over the past two years, the volume of sales drops noticeably during November and December and then it gradually builds momentum in March & April. When I want to get a sense of the condo market, there are a pair of key indicators that I follow. 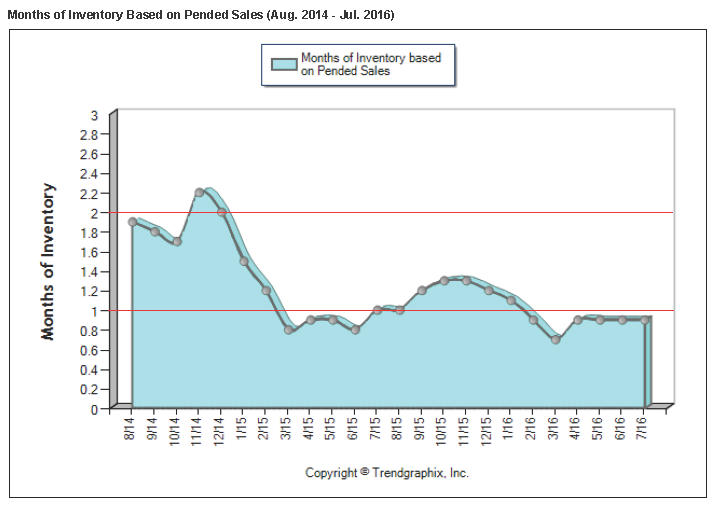 They are the Months of Inventory Report and the Active Listings vs Pending Sales Report. The other market indicator I follow, the Active Listings vs Pending Sales Report is intended to show the velocity of the market in actual numbers. Viewed over an extended period (like the two-year snapshot below) this report shows the relative strength of the market and it is directly linked to the Monthly Inventory Report. At first glance it appears that there are more pending sales occurring during peak months than there are active listings on the market. How does this happen? Are there unlisted property transactions be added into the system or are sales occurring in unlisted new construction? This graph must be taken with a grain of salt. 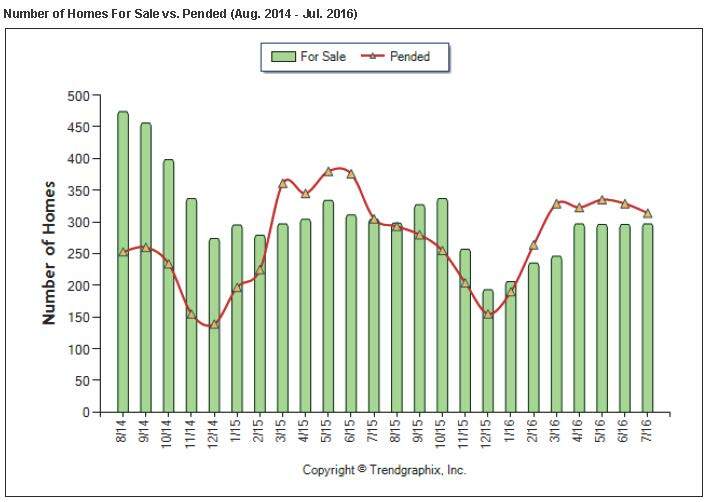 The NWMLS reports pending sales each month that include "still pending" sales generated from a prior month(s). This is a very unhelpful practice. 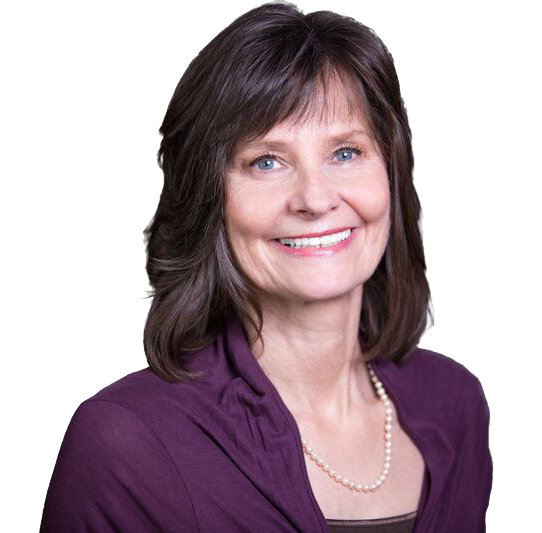 If a market participant, such as a buyer or builder or lender, wants to know how many new sales are occurring each month that data is not readily available through the NWMLS. However, the reason this report is helpful is that it shows the actual numbers of listings and sales by month. As new projects are proposed or are under construction, it is possible to evaluate their impact on the overall market. In a future blog, I will be discussing why so few large scale condo projects are getting built in Seattle. That is an interesting story too.